Challenge Family has announced its newest addition to the global series of long distance triathlons in the ‘otherworldly beautiful’ country of Iceland. Ideally located as a ‘bridge’ between the continents in the middle of the Atlantic, Iceland is a newcomer in the Challenge Family. “The idea started with a vision of a long course race with an open water swim since the races in Iceland have almost all been in pools due to cold water. Our race has grown successfully from the first races and now we are extremely proud of being selected to the Challenge Family,” said Vidar Bragi Thorsteinsson, the founder of the race. 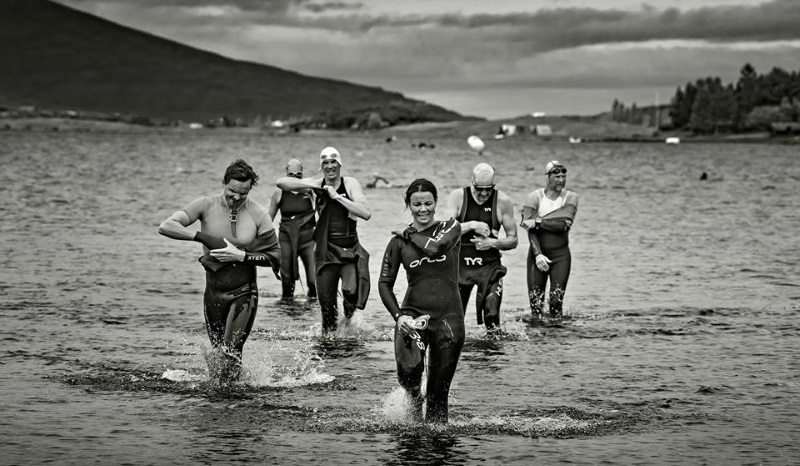 The 1.9K swim course takes place in a crystal clear, fresh water glacial lake, and the one loop 90K bike race with rolling hills and short climbs in the old main road is positioned as one the most iconic bike routes in Iceland. Another beautiful country road with long hills will be the scene for the 21.1 K run course. Race organizers Pétur Einarsson, Vidar Bragi Thorsteinsson, Einar Stefan Kristinsson, Bertel Ingi Arnfinnsson and Elias Gudmundsson from Race Makers Iceland have worked together in conjunction with Kjós municipality to make Challenge Iceland a reality.